Nestled along the Dominican Republic's stunning Northern Coastline, this gorgeous secluded resort is a tropical paradise. Guests can experience the soothing ocean breeze, balmy tropical temperatures, and the shimmering sun along the sea. Dining options include a la carte restaurants with innovative Japanese cuisine and traditional Italian cuisine. Accommodations include spacious and comfortable guestrooms and suites. 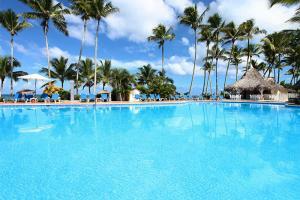 Nestled along the Dominican Republic's stunning Northern Coastline.